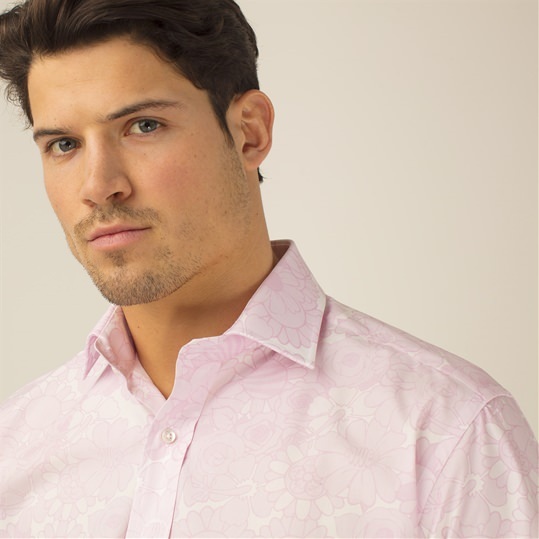 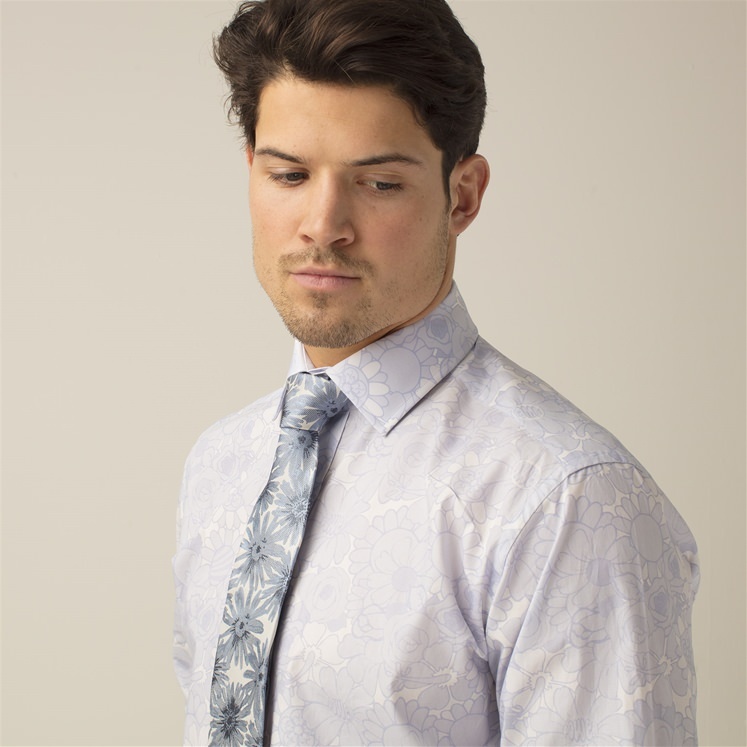 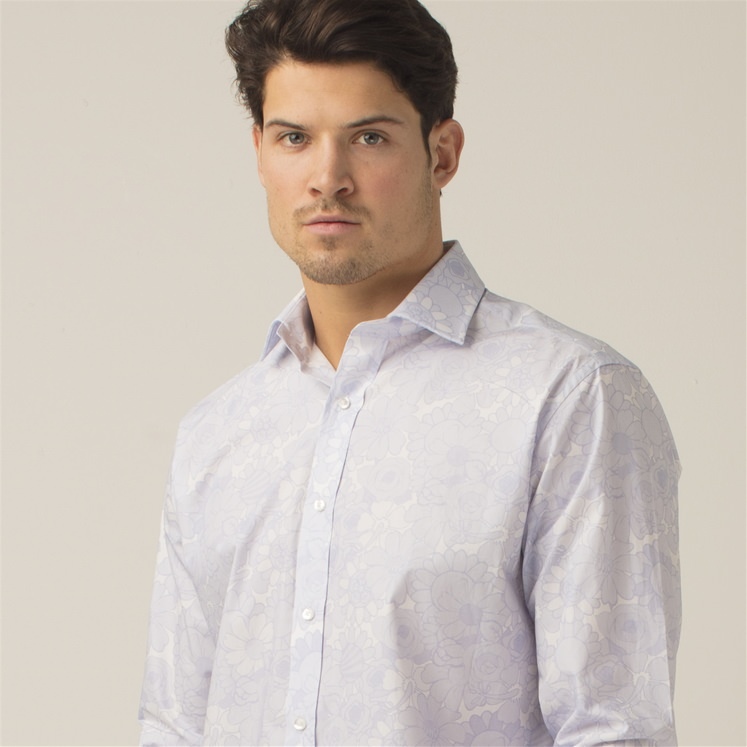 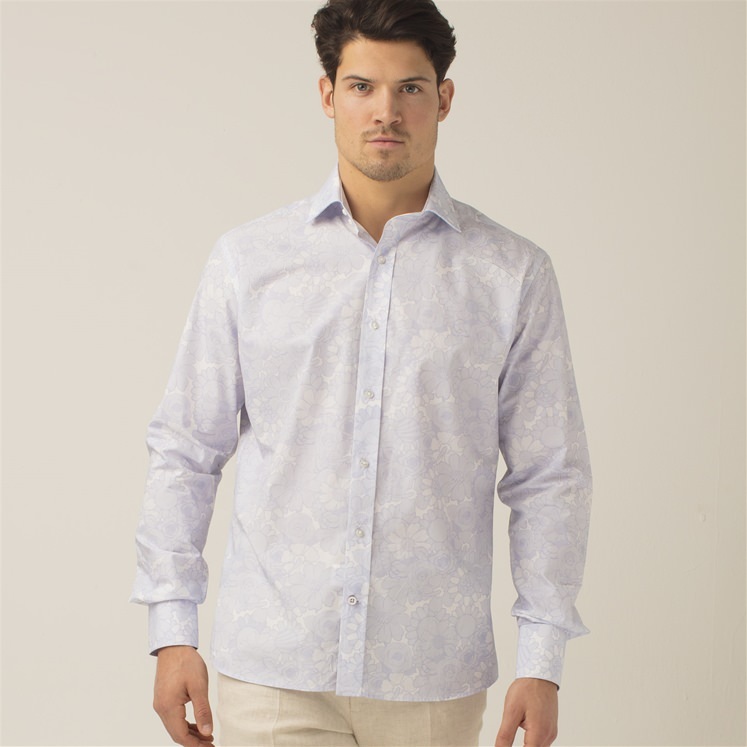 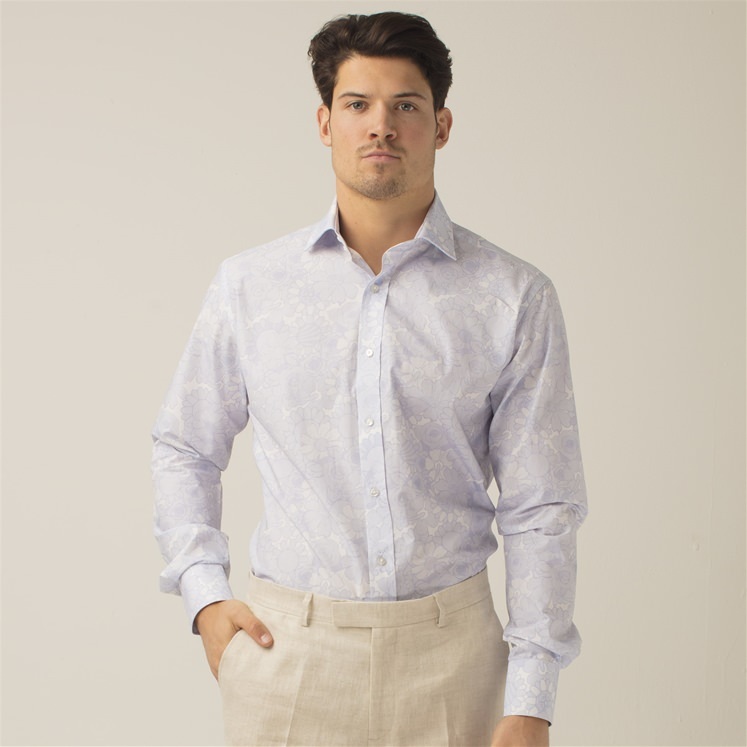 Mens floral patterned shirt from our latest collection, celebrating 20 years of Gresham Blake. 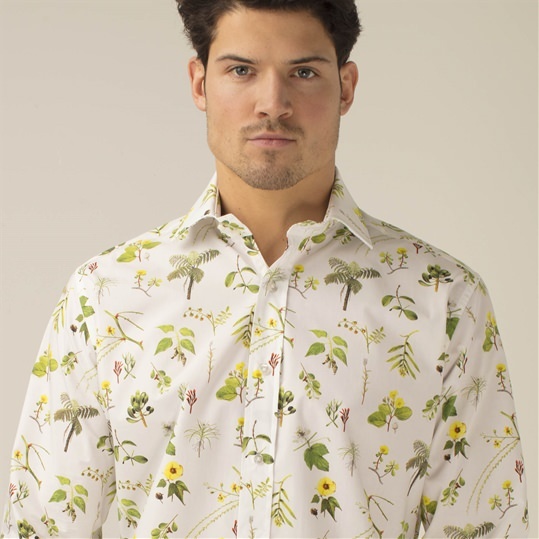 A soft yet graphic floral design inspired by the 70's. 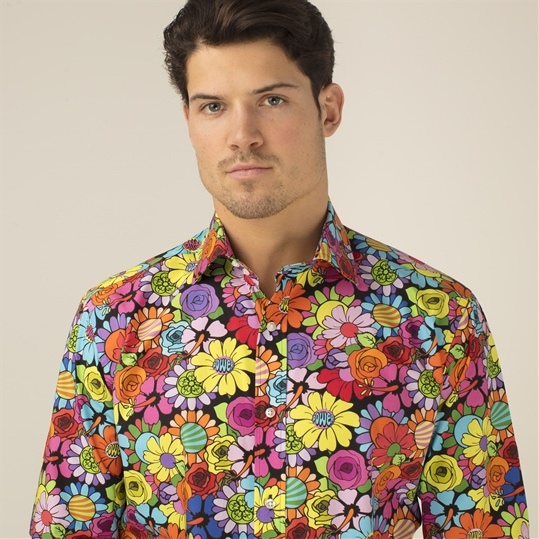 This mild psychedelic shirt is ideal for a wedding or special occasion.